Mayor Dawn Zimmer of Hoboken, N.J., attends a November 2012 news conference after Hurricane Sandy. FBI agents have begun questioning witnesses in the investigation into whether New Jersey Gov. Chris Christie's aides threatened to cut off Hurricane Sandy relief money to Hoboken unless the city's mayor backed a billion-dollar development project, three sources with direct knowledge of the probe told NBC News on Wednesday. 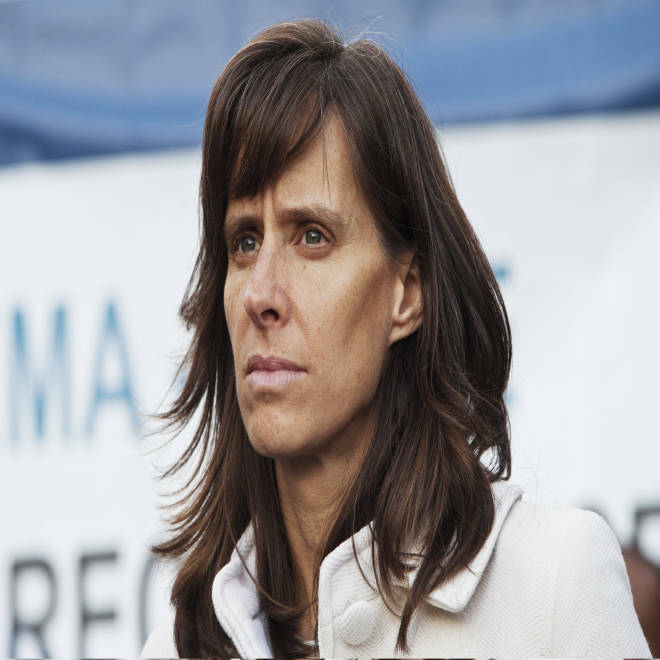 After Zimmer gave her account of the alleged threat to federal prosecutors on Sunday, federal agents questioned Dan Bryan, Zimmer's chief of staff, and Juan Melli, her communications director, the sources said. The two Zimmer aides are among at least five witnesses who Zimmer told the FBI could confirm that she had previously told them about the conversation she says she had with Lt. Gov. Kim Guadagno last May. Zimmer has alleged that during that conversation in a parking lot, the lieutenant governor linked Sandy funding to backing of the development project. David Mello, a member of the Hoboken City Council, told NBC News that Zimmer told him about the Guadagno conversation last summer, either in late July or early August as they were walking home after an event. "I distinctly remember [Zimmer] saying that the lieutenant governor said, 'If this came out, she would deny it,'" he said. "I thought it was absurd and outrageous," said Mello, adding that he pressed Zimmer whether she would speak out publicly about what she said took place. 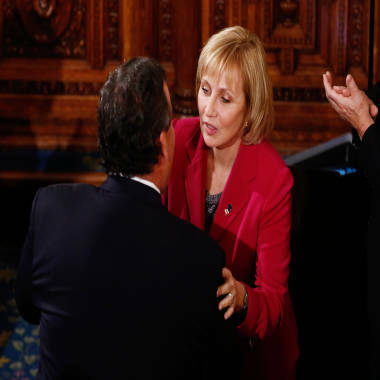 "She told me, 'It was a done deal that [Christie] was going to be re-elected" and she did not want to jeopardize further funding for the city, he said. Mello, a Zimmer ally who said he strongly opposed Christie's re-election, said he is arranging through the Hoboken city counsel to provide his account to the U.S. attorney's office. Bryan and Melli declined further comment, citing a request from the office of U.S. Attorney Paul Fishman that city officials not discuss the probe publicly. "I can confirm that the mayor has said that the U.S. attorney's office is in Hoboken and talking to people," said Melli. Guadagno in a statement to reporters Tuesday adamantly denied Zimmer's account of the May conversation, calling it "false" and "offensive." A Christie press spokesman has also strongly denied Zimmer's account and suggested that it contradicts earlier statements she has made that were supportive of the Republican governor. "It's very clear partisan politics are at play here as Democratic mayors with a political axe to grind come out of the woodwork," spokesman Colin Reed said in an email last weekend. Meanwhile, Hoboken City Council approved the hiring of attorney Gerald Krovatin to represent Zimmer during the probe. The city will set aside up to $17,000 for legal fees. Krovatin usually charges $600 per hour but he offered to work for $350 per hour on this case. The council backed the move by a 5-4 vote on Wednesday night. NBC News' Laura Kurinsky contributed to this report.